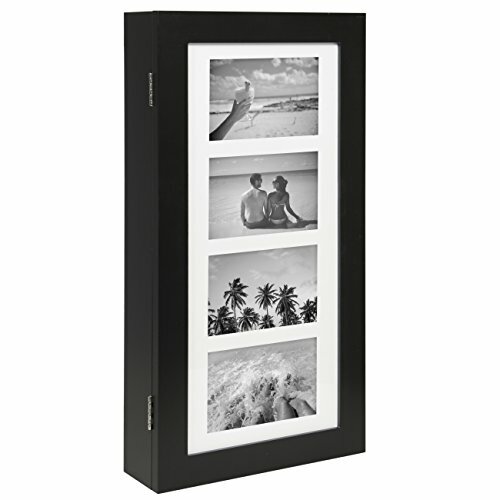 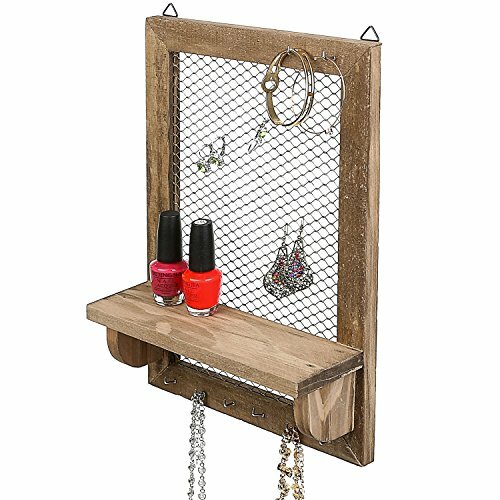 They are designed to hold and display any type of jewelry, including necklaces, rings, earrings, bracelets and watches. 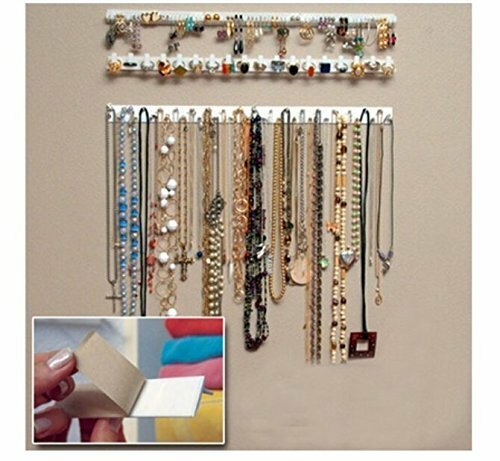 This kind of organizer will help you save a lot of floor and drawer space, because it is mounted on the wall. 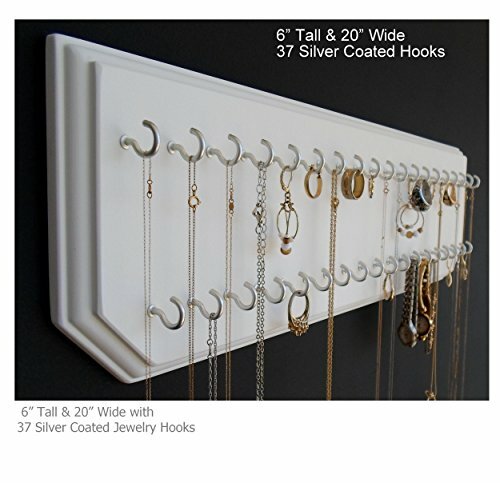 Avoid tangles and jewelry clutter, even with the longest necklaces you own or want to display. 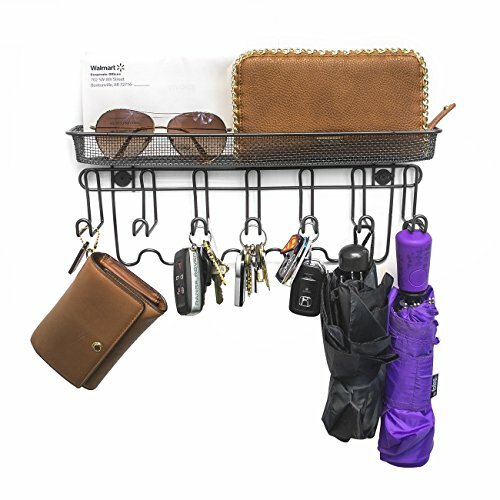 By keeping everything in plain sight you won’t have to remember where you put specific items, thus not having to search for them. 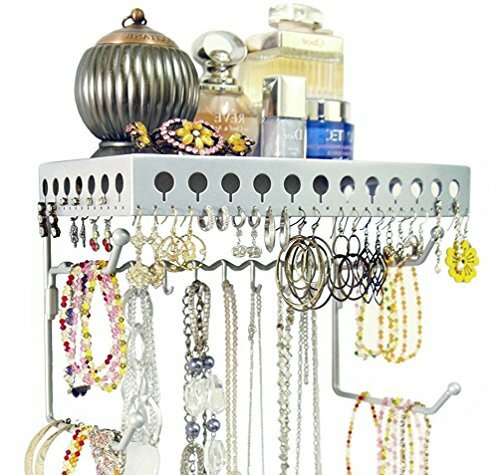 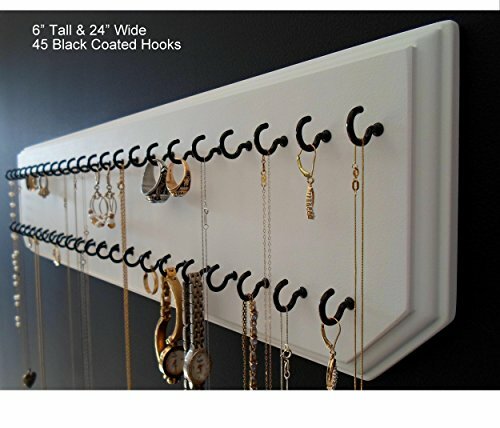 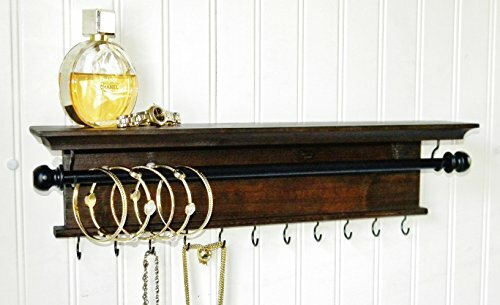 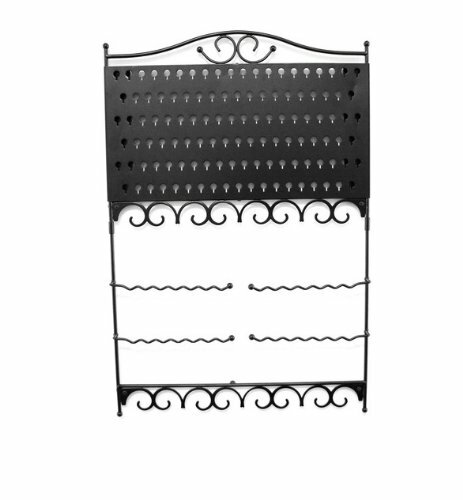 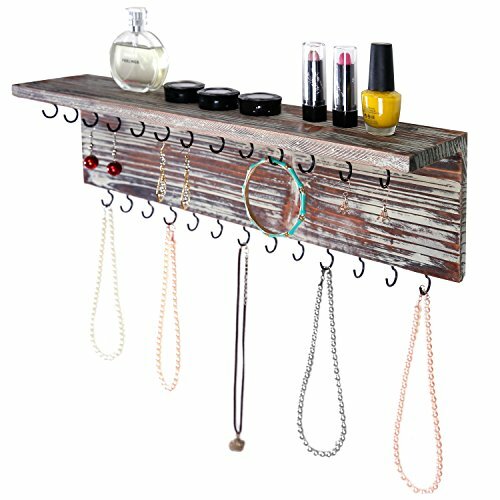 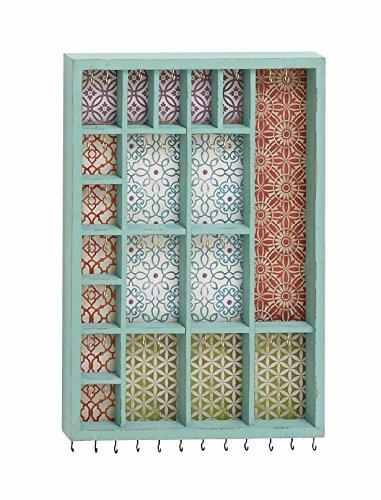 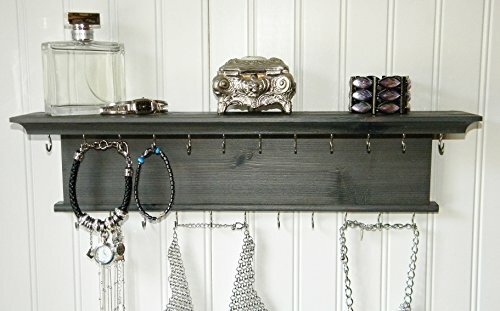 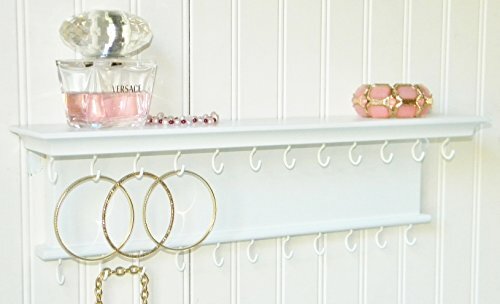 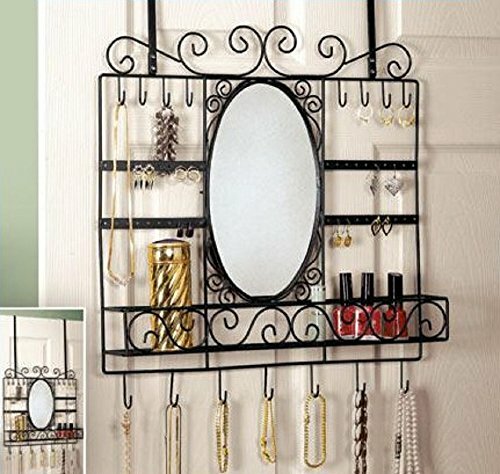 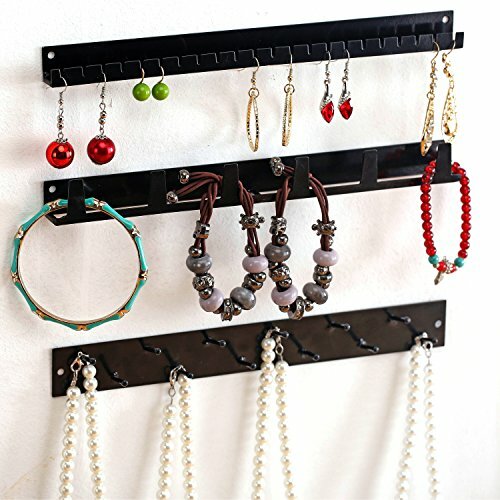 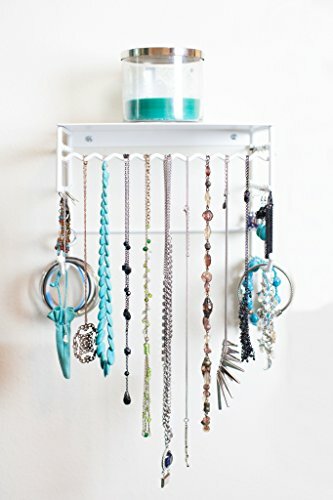 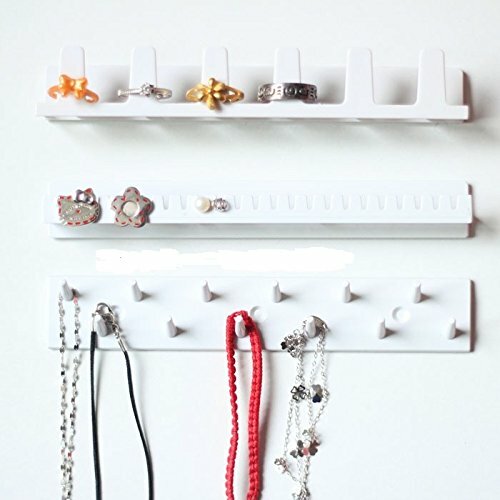 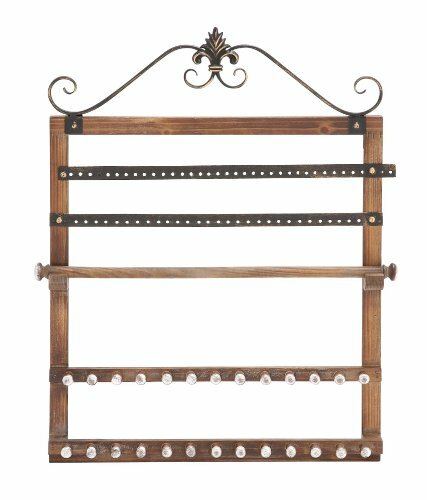 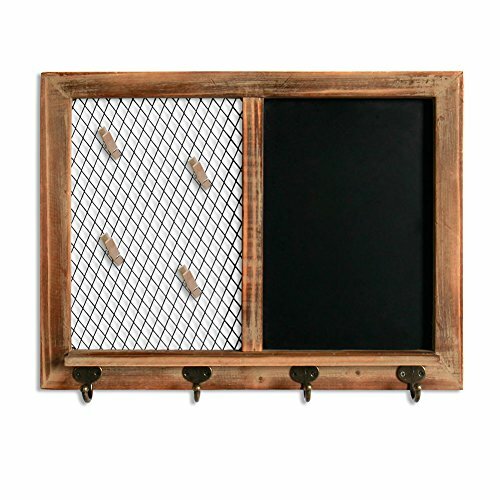 In general these wall jewelry organizers are crafted from steel, or in combination with various types of wood, which ensure durability and makes it also very easy to install, by drilling one or two holes in the wall and securing them with screws. 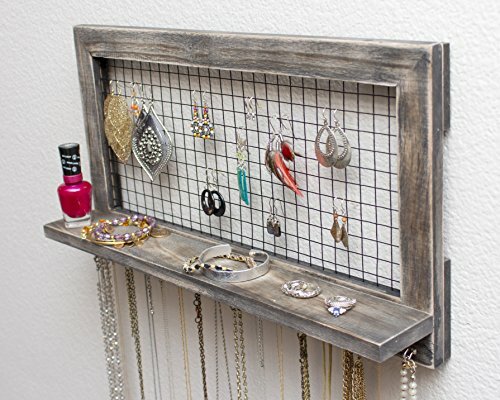 If you were looking for wall mounted jewelry armoires, feel free to check out our selection of jewelry armoires for sale. 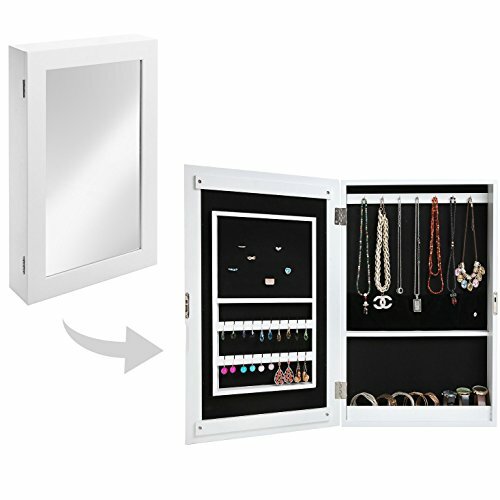 Another great advantage is that they keep jewelry away from the reach of small children or small pets. 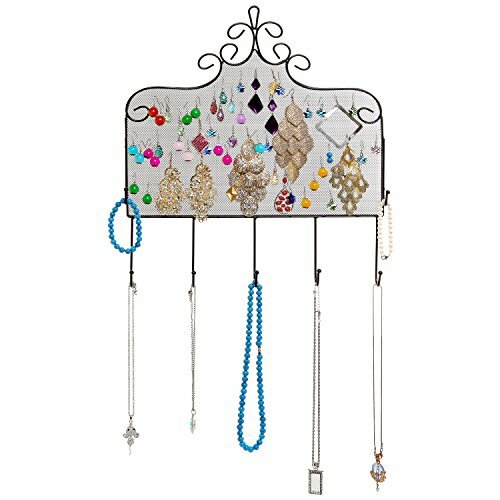 We are delighted to present you with the items we have selected and considered to be the most appealing visually, of the highest quality and at incredible prices.